Every spring, the gardens of Biltmore Estate put on a fantastic show. Watch as 8,000 acres of lavish landscapes transform with blossoming flowers and vibrant colors. If you have yet to experience the Biltmore Blooms, also known as the Biltmore Festival of Flowers, then you are missing out! Read on for local tips on how to make the most of your trip. 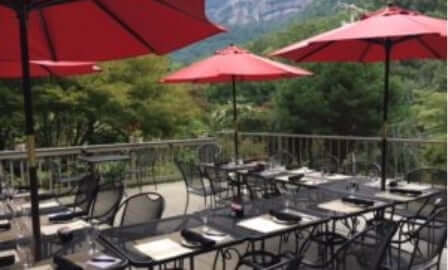 Afterward, find more unique ways to explore the Asheville area in our free Chimney Rock/Lake Lure Travel Guide. Our guide is full recommendations on restaurants, gardens, hiking trails, and more, so you can spend less time planning and more time having fun! Many know Biltmore Estate as home to America’s largest and most extravagant home. However, the mansion itself is only a fraction of what the Biltmore Estate offers. There are thousands of acres of stunning landscapes here, so you haven’t truly experienced Biltmore if you haven’t explored the gardens. Each spring from the beginning of April through the end of May, the estate gardens reawaken with over 50,000 tulips, 14,000 daffodils, 1,000 hyacinths, and more! You’ll also find magnificent azaleas, dogwoods, redbuds, and flowering cherries. Take your time to explore the gardens on any of the estate’s walking trails. We recommend packing a picnic basket to complete your experience! The Biltmore Blooms is a signature event, complete with special dining menus at the estate restaurants. You can also look forward to special tastings at the Biltmore Winery. Complimentary wine tastings are always included in your admission to Biltmore Estate. Cheers! Looking for more flower power during your spring getaway to Western North Carolina? Check out the Lake Lure Flowering Bridge! This one-of-a-kind attraction is absolutely free and open to the public from sunrise to sunset. If you’d like to save money on lodging and Biltmore Estate tickets, take advantage of our Biltmore Package. This all-inclusive package includes a picnic basket for two, two tickets to Biltmore Estate, and dinner for two at The Esmeralda Restaurant. Official dates for the 2019 Biltmore Blooms are April 1 through May 23. However, you’ll still find plenty of flower activity in late March, including 200 orchids in the warm conservatory. If you are curious about what is currently in bloom, check the Biltmore Bloom report! After a beautiful spring day at the Biltmore Festival of Flowers, head home to The Esmeralda Inn & Restaurant for a relaxing night. 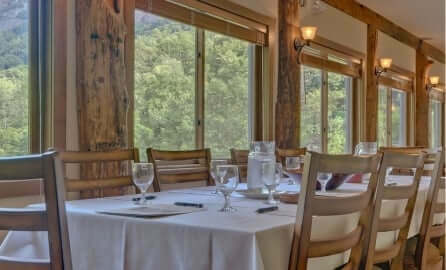 When you book any of our beautiful cabins, like The Esmeralda Cabin, you can always look forward to the best amenities, vacation packages, and top-notch service. 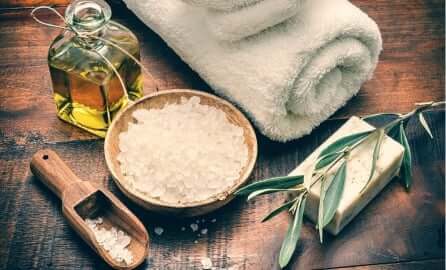 Complimentary gourmet breakfast, spa services, and access to our private park are a few ways to relax and unwind at our inn! You’ll also enjoy proximity to the beautiful Chimney Rock State Park where you’ll find cascading waterfalls and stunning wildflowers in bloom during the spring. 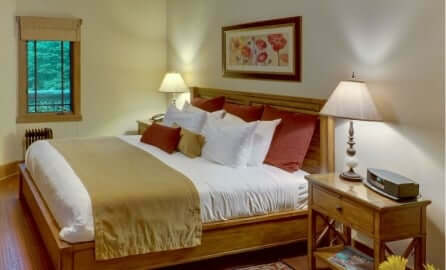 When you are ready to plan your next getaway, check our availability and book your stay. We can’t wait to host you at The Esmeralda Inn & Restaurant!